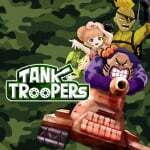 Revealed in the 3DS Nintendo Direct in Autumn / Fall of last year and already out in Japan, Tank Troopers is a Nintendo-published title heading to the eShop. The premise is simple - it's a tank warfare game with a hefty dose of quirkiness. Nintendo of America has confirmed a release date of 16th February in its region, and we doubt it'll be far behind in Europe. 36 customisations are promised for tanks, accompanying a broad cast of characters and various maps and modes; there's support for up to six battlers in local multiplayer, too. You can see a lengthy showcase from the Japanese release below, which should give you a good idea of what to expect. Is this going on your 3DS eShop wishlist? I liked what I saw in NintenDaan's footage, but the lack of online kind of kills my interest. Price? It's download only and 4 weeks away and already out in Japan, surely there's a price. This looks like it could be fun, but so did Tank, Tank, Tank, but try as we might we just couldn't like it that much. We tried the daily demo, rented it from Gamefly, but never paid the $10 for it b/c it never seemed fun. And that's hard to do in a couch multiplayer tank game attacking giant monsters. And this reminds me a little too much of that. But what's up w/ all the 3DS news today, is it the anniversary of the launch or something? Hopefully it's the last big 3DS dump so they can start concentrating on Switch. E3 needs to be very Switch focused. I'm quite excited about this, it looks like a lot of fun. I don't know why, but I expected this to get a physical retail release. I really liked the look of it in the Nintendo Direct, and will almost certainly be picking it up upon release, assuming that the press is good. If it's got Download Play, then I'll be very tempted to pick this one up. @rjejr Yeah, Tank Tank Tank looked & sounded like it should have been fun, but for some reason it felt off... not sure why. Real shame as I liked the idea & the presentation. @rjejr Last I heard it was free dl like Steel diver sub wars. As for Tank Tank Tank our family loves it. We still play it from time to time and always have mindless fun! My friend is trying to get me into World of tanks & I'm struggling to find the will to play it. I was hoping this game could help me get more into tanks.... but no online? What? This looks perfect for online! Aw, shucks, guess I'll have to go back to boring tanks grinding on my PC. @Oat @Spoony_Tech You guys should compare notes. If it's 800 Yen $8 sound good, but I'll guess $9.99. Free would be nice though. @samuelvictor Yeah we never did figure out what was wrong w/ it, too slow, auto aim, too small areas, too fast rounds. It all seemed good in theory, but in practice it just didn't play right. It's funny b/c it seemed like a combination of some of the parts of W101, but those parts were fun. Tank Tank Tank was the only time I think we ever used the Gamepad camera in though, but even that wasn't enough. Maybe we'll just save up for PSVR so we can get Rigs and Battlezone. @samuelvictor Well my kid and his friends couldn't get enough of Tank3. It was either that or PS3 All-for-one when it came to co-op multiplaying. 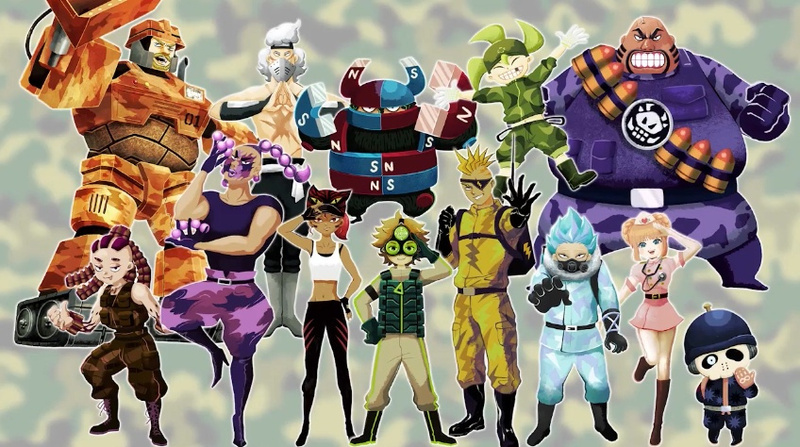 The COs remind me of a more cartoony Advance Wars and local multiplayer means I'll at least look into it. Tank games are really hit-or-miss for me as pacing is such a delicate balance between making the tanks feel like tanks and making the game move along at a good pace, but this looks solid enough. I never was interested in games that resolve around tanks, but this seem like it could be a fun game. It all depends on the price though. With all the games still coming to 3DS and Switch on the way it will be very busy year. Though I think I won't get Switch until next year since 3DS still has a lot to offer. @Oat Now if I could only Google the US price. 4 weeks out, no price, being a Nintendo gamer is too much work, pretty much all of the time.